People have sometimes asked me why I am interested in so many seemingly diverse topics such as unsolved riddles of evolution, different philosophies of biology, phenomena in near-death states, out-of-body experiences, the sudden whitening of hair after emotional shock, and parapsychology including its history, and the study of mediumship. I am convinced that by studying frontier areas of biology and issues typically not covered by standard biological courses and textbooks, we can learn a lot about organisms including human beings, and about nature as a whole. This website contains an overview on my areas of research and related publications. 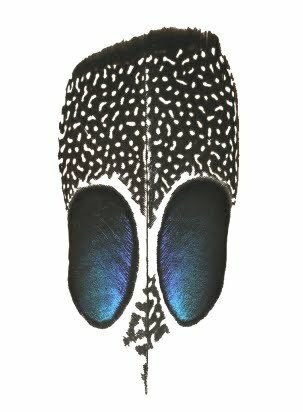 Tail feather of a Palawan peacock-pheasant.